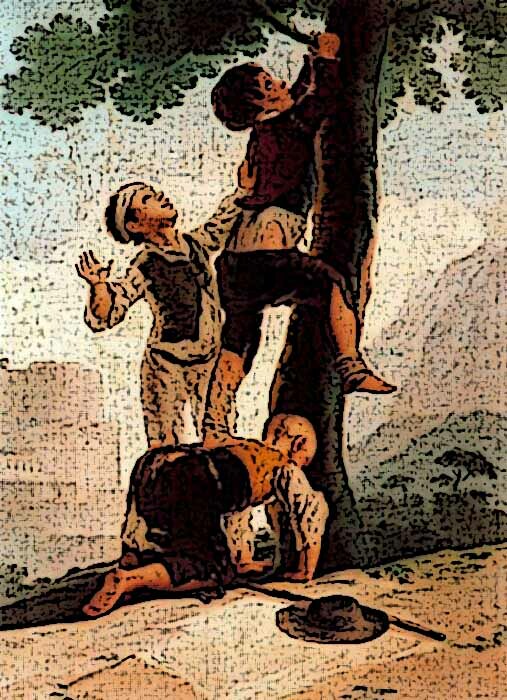 At 5.30 on a Monday morning, in a village, three college boys were climbing a tall tree because they were trying to reach a red Queen apple. Oscar, Finlay and Patrick had just paid three hundred dollars to go to school at Marist Brothers private collage at Ashgrove and they were feeling excited and proud of themselves which is why they decided to stretch Oscar’s arm to reach the high apple on the tree. They tried all day until they achieved their goal at 5 pm and then they took the lovely apple to Oscar’s mother and she cut it into sixes, which is two sweet pieces for each of them. The apple filled them up so they didn’t have to eat their corn and cabbage quiche for dinner that night, which all three agreed they didn’t like. At 5.30 on Tuesday morning they were starving again.